Restaurants that achieve institution status are mostly built upon loyalty established through consistent reverence over a period of time, which allows for particularly high expectations when visiting them from another State. The flip side is that often distance permits both greater clarity and objectivity. Lebanese born Abla Amad opened “Abla’s” in 1979, after emigrating in 1954, and her interwoven personal and culinary journey is not only inspirational, but culturally significant on many levels. Located on the fringe of the CBD, the room has an undeniably welcoming ambience, with a respectful nod to its heritage, sensibly not overplaying that as many often do. Slowly filling towards the end of lunch service, thankfully with no-one looking for a quick fix, there is enough natural light from the large street-front window to make late afternoon dining a pleasant and lingering type of experience. This is reminiscent of those heady days when writing off food as a business expense was not only legal, but a rite of passage. A plate of quality olives start things off well, followed by mixed dips, labnee, hummous bi tahini and baba ghannooj, which are a nice contrast in balance, texture and flavour. The smokey note on the latter lingers, especially when lashed on the excellent Lebanese bread, which convey the elements of the trio nicely. 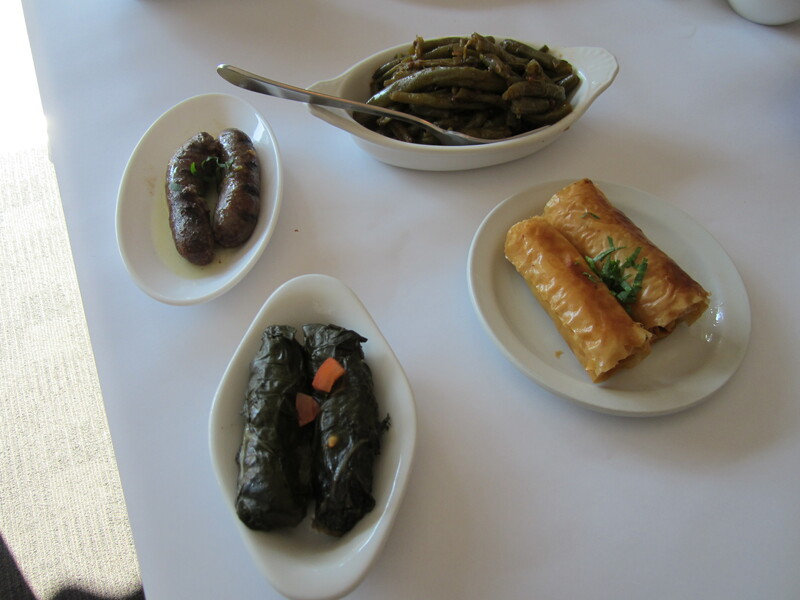 The loubyeh, rustically cooked green beans in a tomato sauce, just supplements the makaneek, silverbeet rolls and Ladies’ fingers, without being noteworthy. Fortunately, the house made grilled lamb and beef sausage is unapologetically savoury, with the rolls sensibly providing a relieving counterpoint, so not all is lost. The exquisitely spiced Ladies’ fingers, crunchy filo pastry with minced lamb and pine nuts, are so moorish that I am compelled to order another serve. Enough said. The baked chicken wings, however, could have benefited from both some additional oven time and seasoning, with some of the garlic and lemon basting juices drizzled over them. It’s a game of inches, and just a couple more would have pushed it across the line. 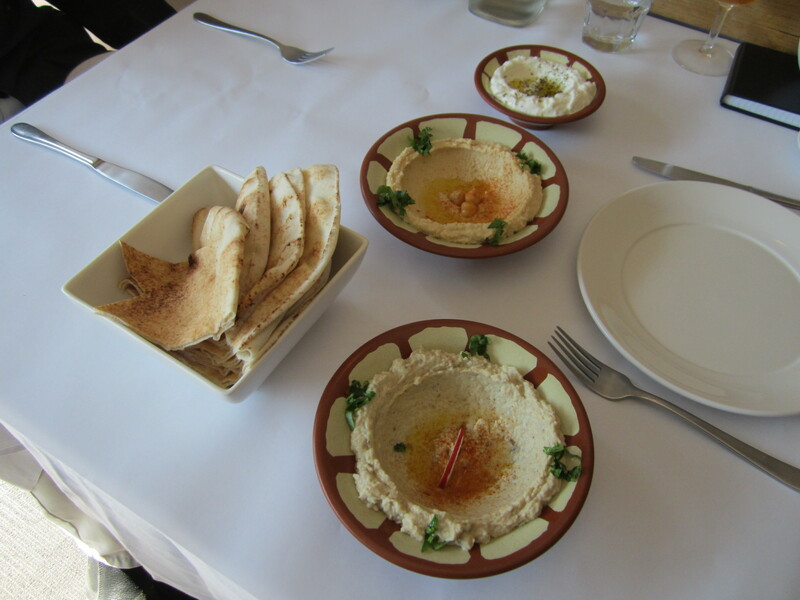 No reservations whatsoever with the accompanying tabouleh, which is fresh and zesty on the palate, and welcome given the context. 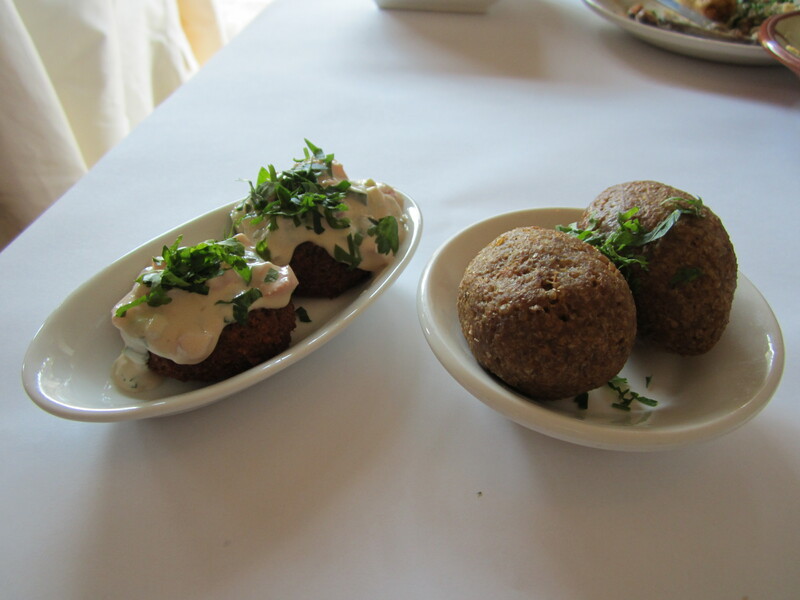 The kibbee, a casing (being the operative word) of minced lamb and cracked wheat, with spiced meat and pine nuts, is a little dry and texturally challenging for my taste. The slightly overcooked, but nicely spiced falafel, fairs slightly better with the chick pea, broad beans, parsley and coriander working a treat with the tahini. Both dishes served together lacked a point of substantial difference; perhaps better execution may have posed a stronger case. 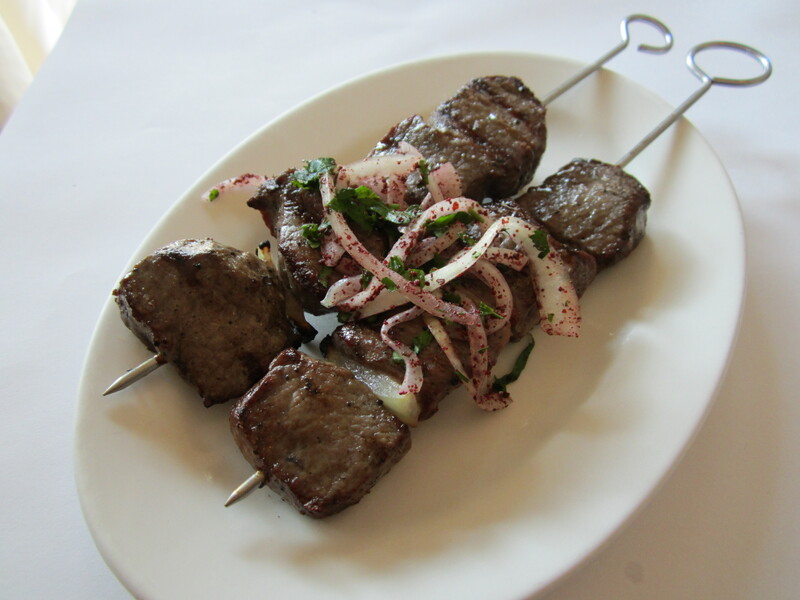 The marinated grilled lamb, nicely seared on the grill, delivers both flavour and gratification on a skewer without complication, other than a simple garnish for contrast. 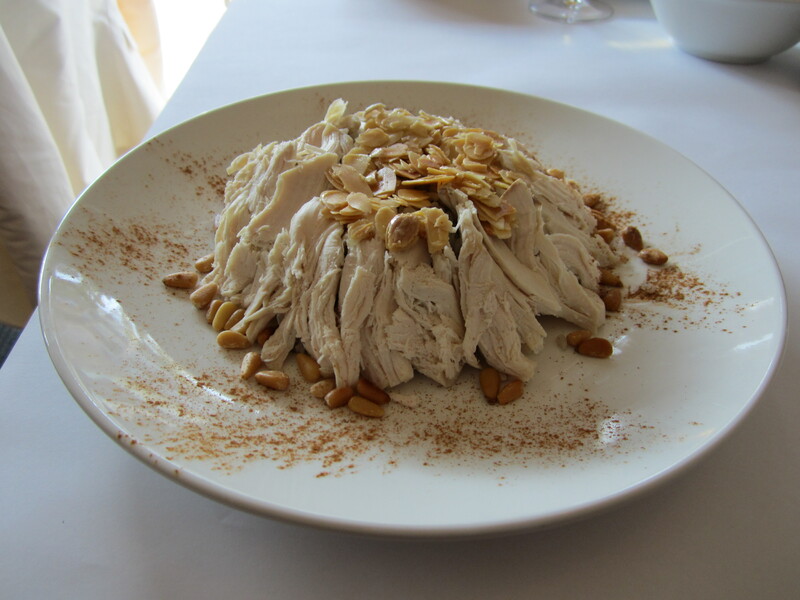 The signature chicken dish, unfortunately a bit too dry for my liking, served with a rice pilaff, minced lamb, almonds and pine nuts, sadly undermined the overall textural play of the dish on this occasion. The balance between the spicing and seasoning seemed slightly out, making the generous portion size seem somewhat insurmountable. 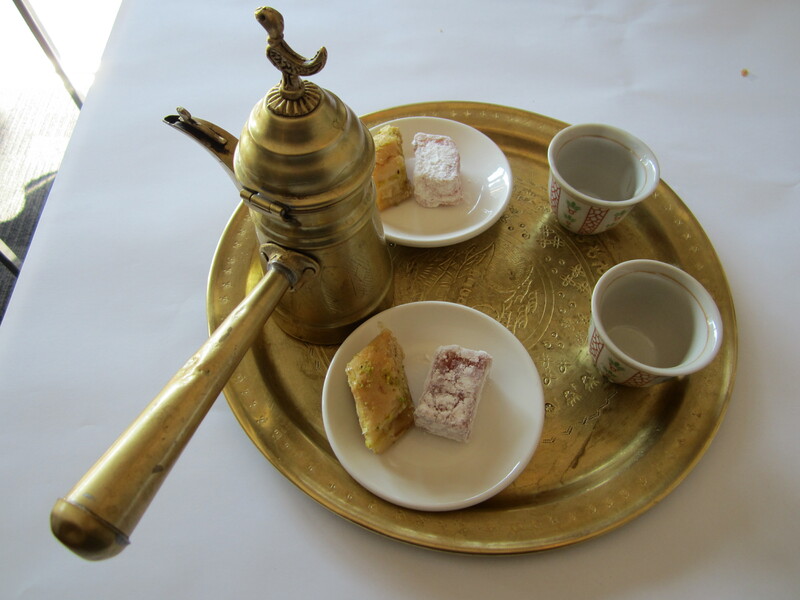 A far more redemptive note on which to finish is the Lebanese coffee, ceremonially served in a stunning pot with matching tray, and home made baklava and Turkish delights. Overall, the lack of any significant moments with the food left me feeling slightly underwhelmed. In fairness, that is not at the heart of what Abla’s is aspiring to, and it’s hard to question the value of a $55 banquet. Perhaps less ‘patchy’ service would have better emphasised the sense of sharing and congeniality that the cuisine is renowned for. 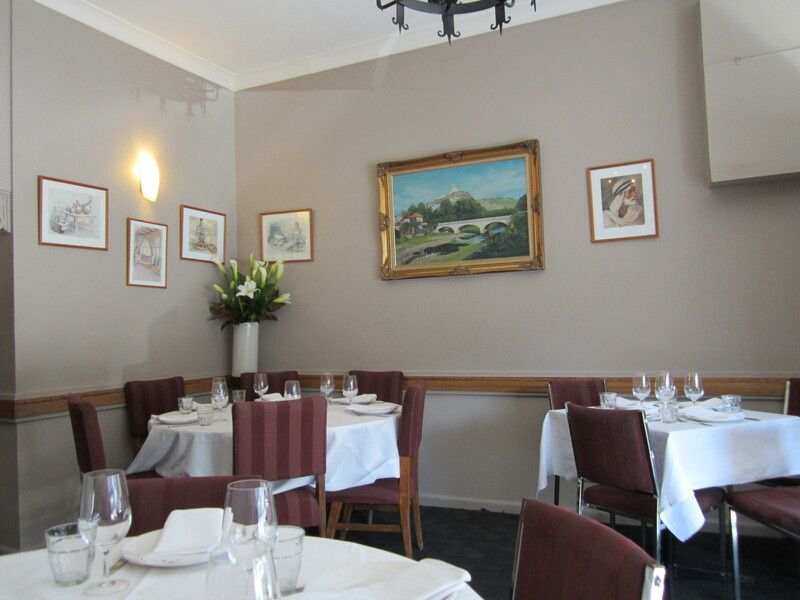 However, despite Abla Amad being absent today, with thirty three years of dutifully serving Melbourne behind them, the restaurant deserves the benefit of the doubt.